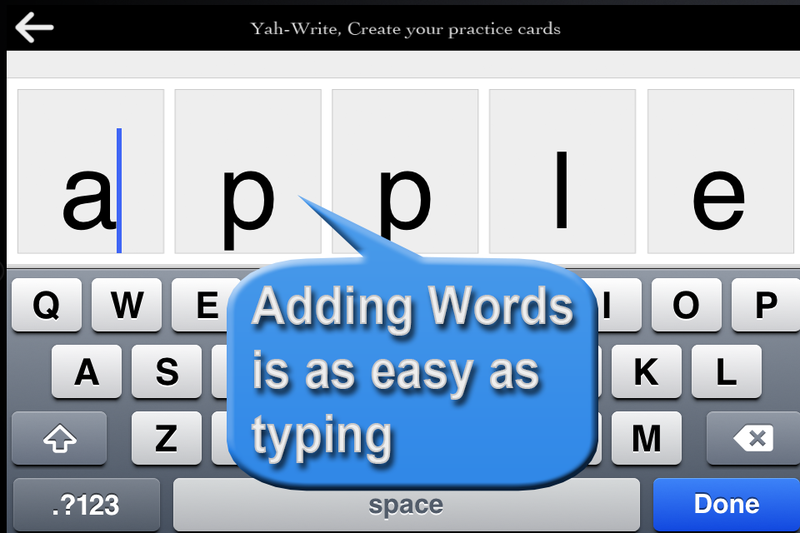 The fastest way to learn to write, add words, 122 words to start. 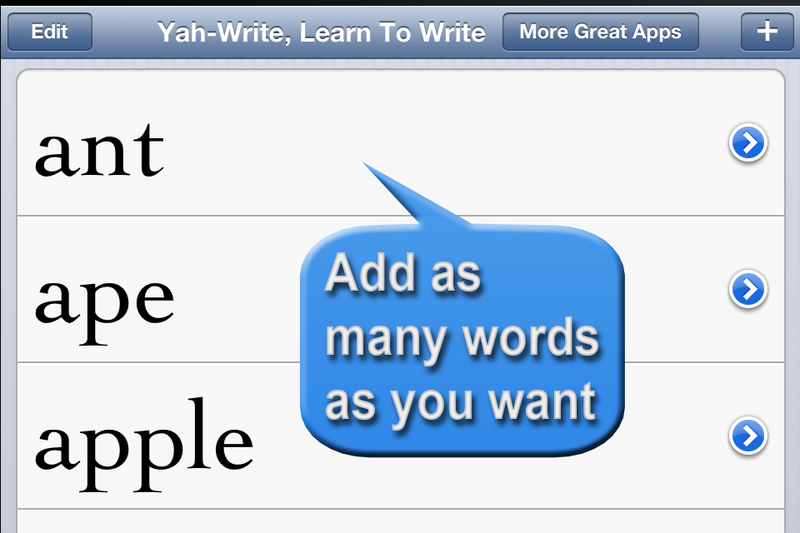 Educational, fun, add unlimited words. 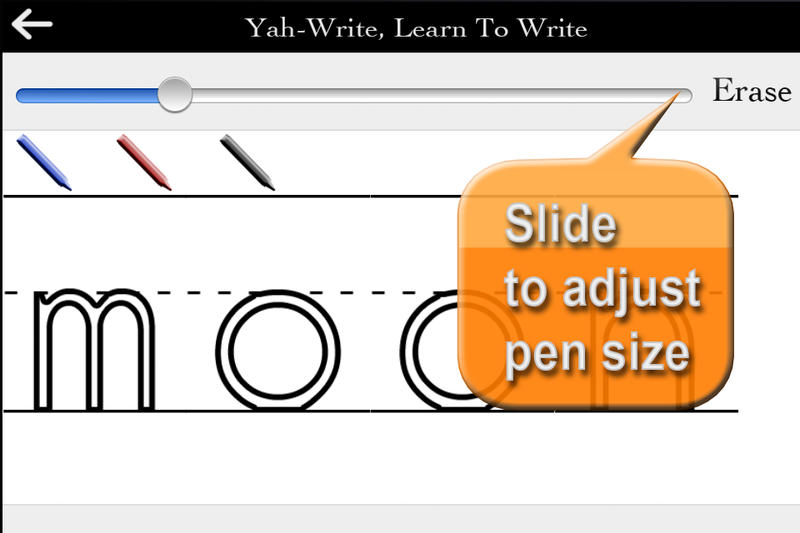 It's extremely easy to add words, just type and then start tracing. No limit to the number of words that you can add. 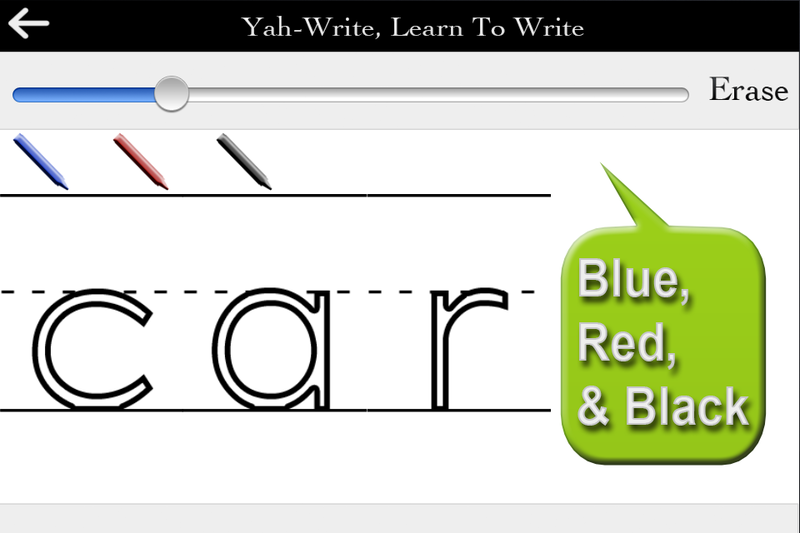 This is by far the most comprehensive app for iPad of it's type.